If the 6.4-inch Sony Xperia Z Ultra is just a tad too big for your liking, perhaps the more standard-sized 5-inch Xperia Z1 will fit your needs. 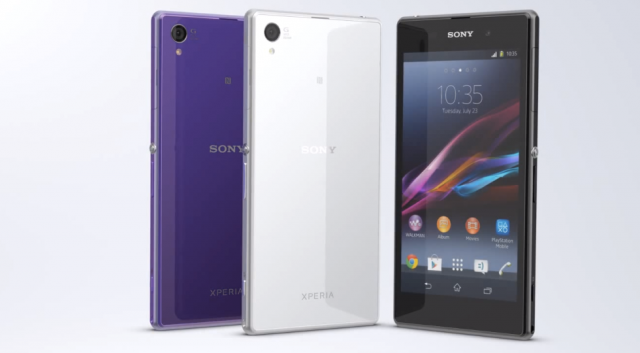 The Xperia Z1 is now available on several carriers — Rogers, Bell and TELUS — with Rogers exclusively selling the purple model and Bell the white one. All three carriers have the black variant. Depending on the carrier, the prices for the Z1 range from $199 on a 2-year plan, up to $725 outright. The Xperia Z1 sports a 5-inch 1080p Triluminos display, a 2.2Ghz Snapdragon 800 processor, 2GB of RAM, 16GB internal storage, a 20.7MP Exmor RS sensor with an f/2.0 aperture called ‘G Lens’, a 3000mAh internal battery, and Android 4.2 Jelly Bean.